First Indian American to host the Bee. 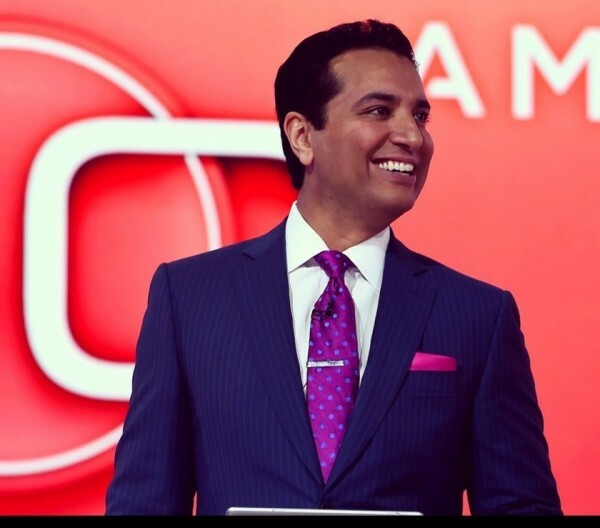 ‘SportsCenter’ anchor Kevin Negandhi will host the Scripps National Spelling Bee this year, scheduled to be held from May 24-26, in Washington, DC. The finals will be telecast live on ESPN. Negandhi became the first Indian American on-air personality at a national sports network when he joined ESPN in 2006. In addition to hosting SportsCenter, Negandhi also hosts Baseball Tonight, College Football Live and Outside the Lines on ESPN and is a fill-in anchor on NFL Live and Cold Pizza. Negandhi was born in Phoenixville, Pennsylvania. He graduated from Phoenixville Area High School in Phoenixville. He received a degree in Communications from Temple University in 1997. While at Temple, he was a reporter on the Philadelphia Inquirer High School Sports Show on Fox. He also worked as a stringer for USA Today covering six local colleges for the Gannett News Service. Negandhi was the voice of the Temple Women’s basketball team on WRTI 90.1 FM in Philadelphia for three years. After college, he became the second Indian American to be a local sports anchor in the country, serving as sports anchor and later sports director at KTVO-TV in Kirksville, MO from 1998-99. Negandhi joined WWSB-TV in Sarasota, Florida in 1999 and served as a sports anchor/reporter for three years, according to Wikipedia. After a year away from TV, he returned to Sarasota and became sports director at WWSB-TV from 2004-06. While working in Florida, he won three Associated Press awards including “Best Sportscast” in 2004 and 2005 and “Best Breaking Sports News” in 2005.